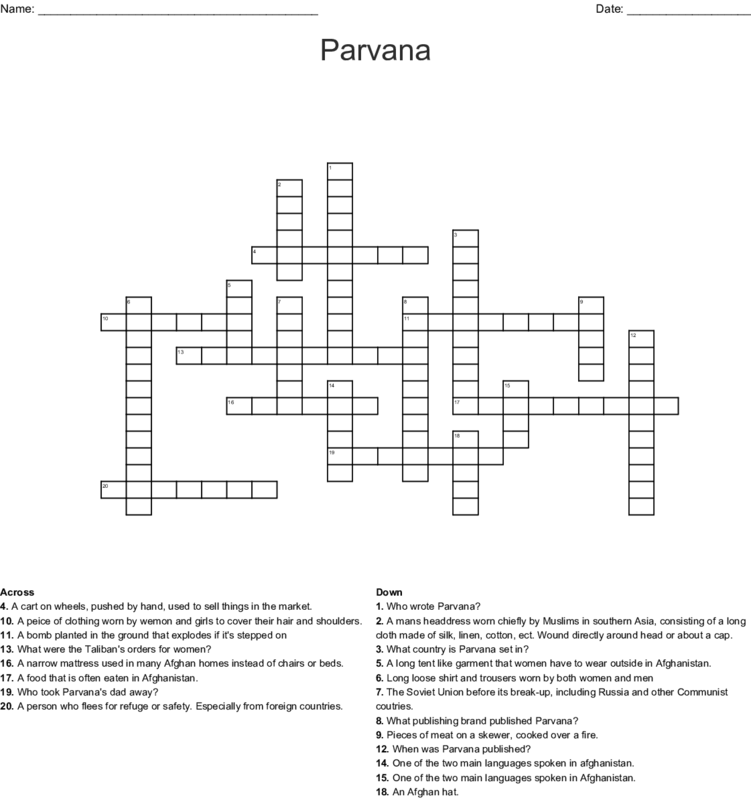 What country is Parvana set in? Who took Parvana's dad away? A peice of clothing worn by wemon and girls to cover their hair and shoulders. What were the Taliban's orders for women? One of the two main languages spoken in Afghanistan. A long tent like garment that women have to wear outside in Afghanistan. A person who flees for refuge or safety. Especially from foreign countries. A narrow mattress used in many Afghan homes instead of chairs or beds. A mans headdress worn chiefly by Muslims in southern Asia, consisting of a long cloth made of silk, linen, cotton, ect. Wound directly around head or about a cap. A food that is often eaten in Afghanistan. A cart on wheels, pushed by hand, used to sell things in the market. Pieces of meat on a skewer, cooked over a fire. The Soviet Union before its break-up, including Russia and other Communist coutries. What publishing brand published Parvana?